With Google Fiber, AT&T GigaPower, and even Comcast all expanding the coverage areas of their own gigabit Internet services, traditional ISPs like Time Warner seem like they are being left behind. But not for long. Even without fiber optic cable in the ground, some Time Warner customers are expected to get a significant Internet speed boost, and at no additional charge to their monthly bill. If you are a current Time Warner subscriber, let’s see if you can you expect a faster Internet service at your home. Time Warner’s new Internet speed boosting program is using the moniker of “TWC Maxx.” The company promises affected customers will see Internet downloads at six times the speed without any additional wiring. The only potential change is the replacement of your cable modem if you currently use an older model not supporting the faster speeds. The ISP is also improving their digital TV service with expanded on demand offerings and an improved DVR, but make no mistake — the faster Internet speed is the true calling card for TWC Maxx. As noted earlier, customers can expect no rate increase on their monthly service. Those who subscribe to TWC’s Ultimate tier will now see speeds upwards of 300 Mbps — so get your Internet speed tests ready! Standard tier subscribers can expect speeds of up to 50 Mbps, while Extreme tier customers will get speeds up to 200 Mbps. The Louisville Metro area is one region slated to receive the TWC Maxx expansion. This move from Time Warner isn’t surprising, considering Google Fiber and AT&T GigaPower are also expanding into the area. Not all local Time Warner customers are happy, however, as some subscribers in the rural outskirts of the region aren’t expected to receive TWC Maxx at the time of this writing. Those worrying about the expected merger between Charter and Time Warner impacting TWC Maxx needn’t. Charter expects to maintain the TWC Maxx expansion plans, and remember the merged company is still competing with Google and AT&T over the long run. 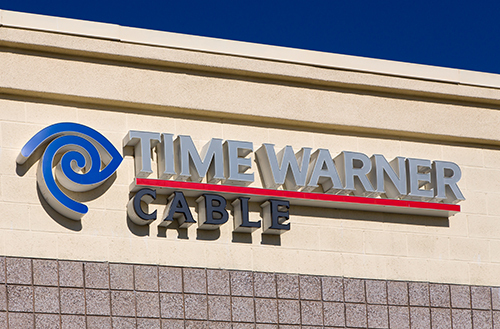 Current customers should contact Time Warner about their eligibility for TWC Maxx. The company also expects to notify those subscribers needing to upgrade their modem to be able to receive the faster Internet service. TWC Maxx is expected to be in place by the end of the summer in most locations in the Louisville area and elsewhere across the country. Contact Time Warner for additional rollout schedule details.